The new National Curriculum very clearly outlines the continuity and progression of spelling for Key Stages 1 & 2. This resource contains termly spelling lists for each year group that follow the National Curriculum, spelling cards that can be shared with parents and a guaranteed system for full coverage of all spelling rules and exceptions. Also included are printable certificates and record cards that support this whole school scheme. SKU: TSB01. Category: Writing. Tag: Spelling Bee. In light of more prescriptive guidance about spelling rules and exceptions alongside banks of words to learn, teachers need to consider how to teach spelling effectively. It is critical we take an investigative approach to the teaching of spelling and make time for the exploration of spelling patterns, rules and shapes. A weekly spelling test will not fire the imaginations of our young people. By taking a more dramatic position of providing termly spelling bee experiences where an award can be achieved will excite and motivate all. Included in this download is a full compendium of Spelling Bees; 100 words for each year group, every term, to enable you to deliver the spelling components of the new National Curriculum. 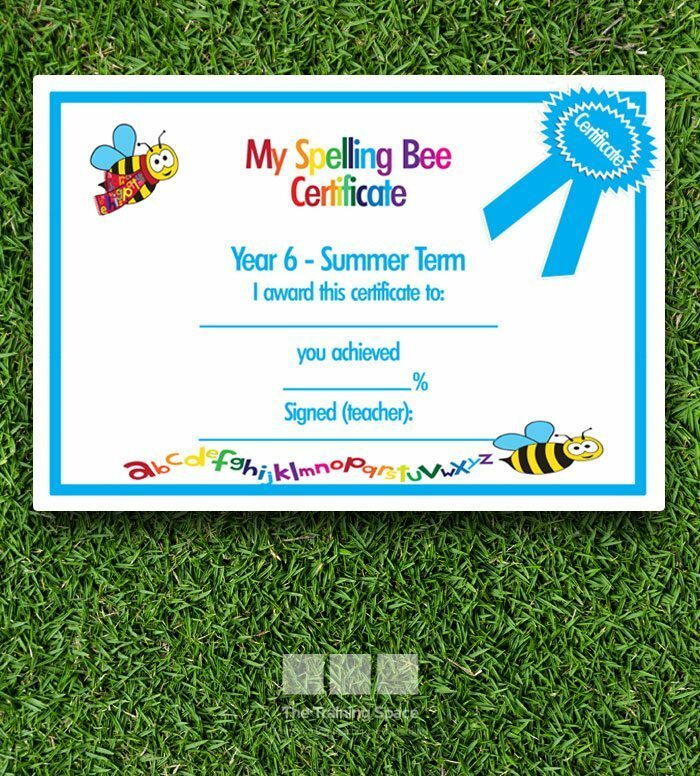 Also included are downloadable and printable certificates and record cards that support the Spelling Bee whole school scheme.